I just sold this 2-Storey at 105 Patricia Avenue, Oshawa, ON O'Neill. We are proud to announce that this Nov 3rd, 2:00 PM to 4:00 PM we will be hosting an Open House at 3020 Fifth Concession in the Rural Pickering neighborhood, Pickering. This is an opportunity to visit this excellent 2-Storey for sale in beautiful Rural Pickering. We are proud to announce that this Nov 3rd, 2:00 PM to 4:00 PM we will be hosting an Open House at 146 Admiral Road in the South East neighborhood, Ajax. This is an opportunity to visit this excellent 1 1/2 storey for sale in beautiful South East. Please come with any questions you may have. In the meantime you can take a virtual tour of this South East 1 1/2 storey for sale. We are proud to announce that this Nov 2nd, 12:00 PM to 2:00 PM we will be hosting an Open House at 4 Jeffrey Street in the Port Perry neighborhood, Scugog. This is an opportunity to visit this excellent Bungalow for sale in beautiful Port Perry. Please come with any questions you may have. In the meantime you can take a virtual tour of this Port Perry Bungalow for sale. I just sold this 2-Storey at 30 Rotherglen Road N, Ajax, ON Central West. We are proud to announce that this Oct 27th, 2:00 PM to 4:00 PM we will be hosting an Open House at 4 Jeffrey Street in the Port Perry neighborhood, Scugog. This is an opportunity to visit this excellent Bungalow for sale in beautiful Port Perry. 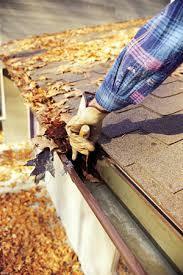 Unlike its seasonal counterpart, spring cleaning, fall maintenance is not always met with a high level of enthusiasm. Perhaps autumn's brisk winds whisk homeowners' smiles away, or maybe crisp leaves don't cultivate excitement like blooming flowers. Whatever the reason, fall chores are more easily overlooked than those related to spring.